Take your looks to the shore with this TierraCast oval shell button. This lovely oval-shaped button is designed to look like a clam shell, complete with raised detailed lines across its surface. The dark copper color will create a vintage feel in your looks, and its two stringing holes allow for multiple uses. Embellish accessories or work into a jewelry design laced with blue or green touches to create a beachy feel. Get inspired by the sea with this TierraCast button. This button takes on the shape of a round sand dollar, complete with the texture and floral pattern that sand dollars are known for. A shank at the back center of the button makes it easy to add to jewelry designs. Use it as a closure on a wrap or seed bead bracelet, add it to earrings, try it in bead embroidery, and more. 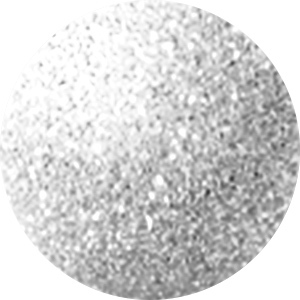 It features a versatile silver shine that will work with any color palette. Add oceanic details to your designs with this TierraCast button. This button takes on the shape of a round sand dollar, complete with the texture and floral pattern that sand dollars are known for. A shank at the back center of the button makes it easy to add to jewelry designs. Use it as a closure on a wrap or seed bead bracelet, add it to earrings, try it in bead embroidery, and more. It features a warm copper glow that would work well with earth tones, regal purples, lush greens, and other colors.